Four UC Santa Cruz professors are among 12 new fellows elected to the California Academy of Sciences for 2010. Academy fellows are a distinguished group of eminent scientists recognized for notable contributions to one or more of the natural sciences. They are nominated by their colleagues and appointed by the board of trustees to govern the academy. The new fellows will be formally inducted at the academy's annual dinner and meeting in October and will remain members of the fellowship for life. 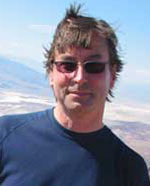 Grant Pogson, associate professor of ecology and evolutionary biology. The four new fellows join 24 other UCSC faculty as fellows of the academy, as well as four more who are honorary fellows. Gilbert's research and teaching has been focused on plant pathology and ecology. 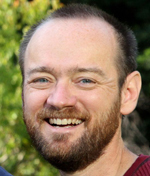 Most recently he co-founded and is director of the graduate training program SCWIBLES, the Santa-Cruz Watsonville Inquiry-Based Learning in Environmental Sciences, a partnership between UCSC and Watsonville High School. Gilbert joined the UCSC faculty in 2000. He received his B.S. from State University of New York, College of Environmental Science and Forestry, and his M.S. and Ph.D. from the University of Wisconsin - Madison. Griggs joined the UCSC faculty in 1968. 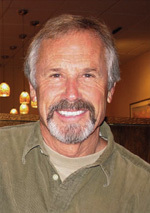 His research and teaching have focused on the coast of California, including coastal processes, hazards, and coastal engineering. Griggs received his B.A. in geology from UC Santa Barbara and his Ph.D. in oceanography from Oregon State University. He has been director of the Institute of Marine Sciences and Long Marine Laboratory since 1991. Lyon joined UCSC in 1997. 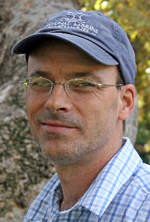 His research investigates the ecological and evolutionary basis of reproductive strategies and social behavior in animals. He holds a B.Sc. from McGill University, an M.Sc. from Queens University, and a Ph.D. from Princeton University. Pogson studies marine fishes and invertebrates such as mussels and urchins to understand how reproductive barriers evolve in species inhabiting broad geographic ranges. He joined UCSC in 1994. He received a B.Sc, from Carlton University and a Ph.D. from the University of British Columbia. The California Academy of Sciences is an international center for scientific education and research at the forefront of efforts to understand and protect the diversity of Earth's living things. The academy has a staff of more than 50 professional educators and Ph.D.-level scientists, supported by more than 100 research and field associates and more than 300 fellows. It hosts 11 fields of research, including anthropology, aquatic biology, botany, comparative genomics, entomology, geology, herpetology, ichthyology, invertebrate zoology, mammalogy, and ornithology. The academy's research collections, which are among the world's largest, include more than 26 million specimens--essential tools for comparative studies on the history and future of the natural world.